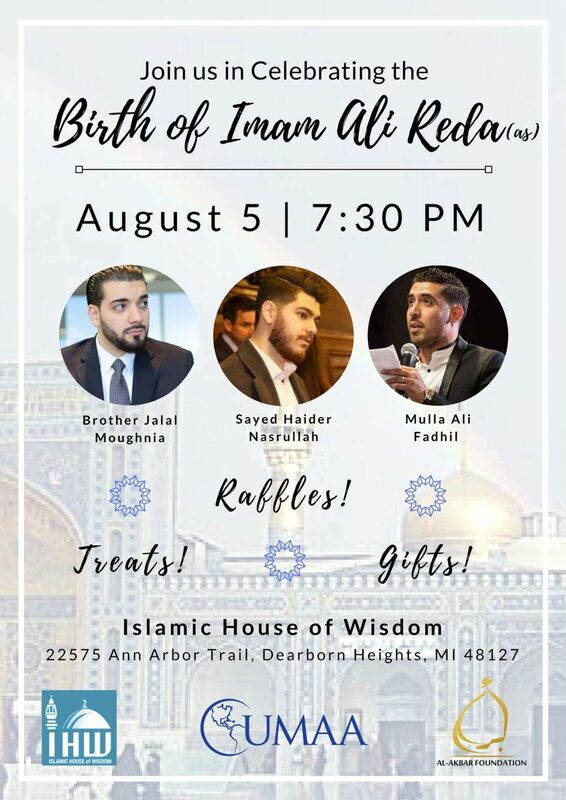 Join us in a very special program that brings Dearborn and London together, celebrating the birth of the eighth descendant of the holy household, Imam Ali Reda (as) with Dearborn’s Brother Jalal Mouhgniya and London’s Sayed Haider Nasrullah and Mulla Ali Fadhil. The program will consist of raffle prizes, gift bags and treats. Date/Time: Saturday 5th, August 2017 @ 7.30pm.